5 May 2019. Sun, Rhythm, Love, Joy, and Lezet. ERDHLEZETI brings unique performances and sounds from around the world. Join us in the streets for a unique Balkan experience to celebrate the arrival of summer. 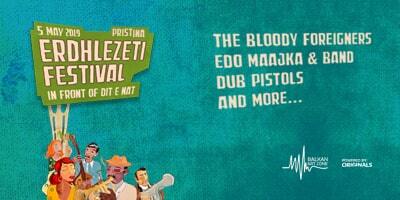 7 Bands, 9 hours LIVE music, over 45 performers - all in the same day in front of Dit’ e Nat’.